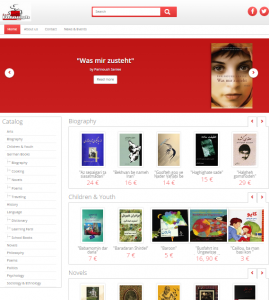 HomeFeaturedA Web Template for Independent Publishers! Every publisher nowadays needs a website to enable them to publicise their backlist, increase their visibility, make contact with their readers and progress down the path of digital publishing. In a context in which many independent publishers still do not have a website set up, the Alliance’s Digital Lab is introducing AlliancePress, a web template specially designed for publishers. Following a logic of interoperability and widespread use, the web template was developed based on WordPress (a free and open-source content management system) and is distributed under a GPL licence. The template will be able to be downloaded from the WordPress platform and improved by the community. The AlliancePress template is now available for download here. This user’s manual (in French) may be helpful for installation purposes. There’s no longer any excuse for not having your own website!